Joint statement from the ITF, ITUC, AFL-CIO, TLSC, SERC and FRN to the Royal Thai Government on ILO Convention 188 Ratification. Migrant fishers from Cambodia and Myanmar working in the Thai fishing industry continue to experience labor and human rights abuses, are at times forced to work for owners and captains that fish illegally or participate in illegal, unreported and unregulated fishing (IUU) activities, and are routinely denied access to legal remedy because of their immigration status. Ratifying C188 – Work in Fishing Convention will send a strong message to IUU operators and unscrupulous vessel owners that exploitative, unsustainable and illegal fishing practices will not be tolerated, and that all fishers’ rights must be protected, regardless of their nationality. Ratifying C188 will also send a strong message to the European Union (EU) and the broader international community that Thailand is making the necessary and essential reforms needed to lift the yellow card and release any EU market restrictions on Thai seafood. The Thai Government should also take further steps to ratify ILO Conventions 87 and 98 concerning freedom of association and collective bargaining. All workers, regardless of where they come from or what immigration status they have, should have the right to form unions and collectively bargain. The right to form unions is an enabling right that makes it possible to promote and realise decent conditions at work in the fishing sector. Large private sector seafood companies, including Thai Union, have already begun to implement changes throughout their Thai supply chains in anticipation of C188 provisions because their consumers and markets demand high labor and environmental standards. By implementing and effectively enforcing C188, Thailand will send a strong message to both the international community and major seafood buyers/markets that Thai seafood products are ethically sourced with labor standards that meet international standards. For example, UK retailers have recently stressed both the need to change the Thai labour law—to allow migrant workers to form unions—and the strict implementation of the Protocol of 2014 to the Forced Labour Convention (P. 29), as being conditions for doing business with Thai suppliers. The Thai Government should be commended on its recent efforts to pass the Forced Labor Act and rid the industry of exploitation, but strict and effective implementation and enforcement will be the main challenge moving forward. The International Transport Workers’ Federation (ITF) is a global trade union federation that supports 670 affiliate trade unions in 140 countries, representing over 19.7 million workers. 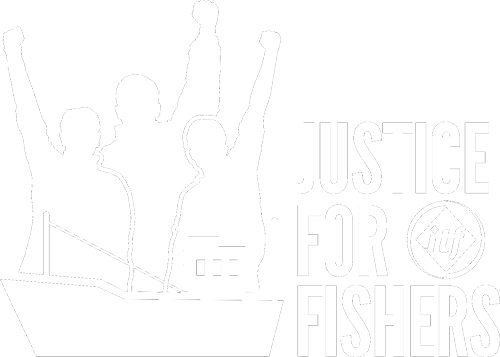 The Fishers Rights Network (FRN) is the only independent trade union for fishers in Thailand, and is an ITF Asia-Pacific regional project. The State Enterprise Workers’ Relations Confederation (SERC) is a national trade union confederation, affiliate to the ITUC, representing 180,000 members across Thailand from state-owned enterprises and the private sector. The Thai Labor Solidarity Committee (TLSC) is a labor organization network from state-owned enterprise and private sector unions, labor NGOs and labor academics in Thailand. The American Federation of Labor and Congress of Industrial Organizations (AFL-CIO) is a democratic, voluntary federation of 55 national and international labor unions that represent 12.5 million working men and women. The International Trade Union Confederation (ITUC) is the global voice of the world’s working people, representing 207 million workers in 163 countries and territories with 331 national affiliates.